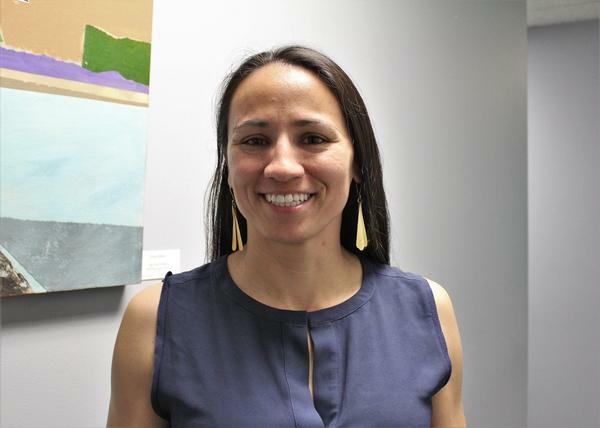 Sharice Davids is running against incumbent Kevin Yoder for Congress in Kansas' 3rd District. "But then I laughed. If he had a candidate who he was proud of and could tout his accomplishments after four terms in Congress, then he wouldn't see the need to send hateful private messages to supporters of his opponent on Facebook," she told KCUR. Kalny did not respond to requests for comment. But Johnson County Republican Party Chair Mike Jones confirmed Kalny had offered to resign Wednesday morning. Jones said Kalny expressed that he "didn't want to bring unwanted attention to the party." Jones said the comments were "clearly inappropriate" and clarified Kalny is not a spokesman for the Republican party. "It's concerning any time you hear comments like that," Jones told KCUR. "There's too much hostility in politics right now. This is not an isolated incident, and not one related to one party or the other." The attack on the Democratic candidate comes in the midst of a close race for Kansas' 3rd District congressional seat between Republican incumbent Kevin Yoder and Davids, a political newcomer. If elected, Davids would be the first openly gay member of Congress from Kansas, and the first Native American woman lawmaker in Washington, D.C.
"With a non-traditional candidate in three or four different ways, having disparaging comments made at least somewhat publicly about that candidate is really common," said University of Kansas political scientist Don Haider-Markel. Haider-Markel told KCUR it's possible this could influence the election. "It will be ignored by plenty of Republicans, it certainly is going to turn off some moderate Republicans, and it just might mobilize supporters of Davids," he said. "But I have a hard time imagining it's going to change somebody's vote that's already decided how they're going to vote." In a statement, Yoder's campaign spokesman C.J. Grover said the Republican "doesn't believe this type of rhetoric is appropriate at all." "These kind of nasty personal attacks are all too prevalent in politics these days, and it needs to stop," Grover said.